If you are the 'Supercar Fest' Event organiser and you would like to update or amend the details shown, please contact us. Thank you. When is the next Supercar Fest? Saturday 20th July, 2019. Supercar Fest is listed under July 2019 Events. Although we try to keep the information for this event as up to date as possible, we cannot guarantee that things haven't changed at the last minute, and we haven't been informed. Therefore, please contact the 'Supercar Fest' event holder directly to confirm all details (especially event name, dates and location) before setting off to Shelsley Walsh. The Supercar Fest is planned to take place at Shelsley Walsh, Worcester, Saturday 20th July, 2019. You may reach the event organisers on 07828 79 7499. 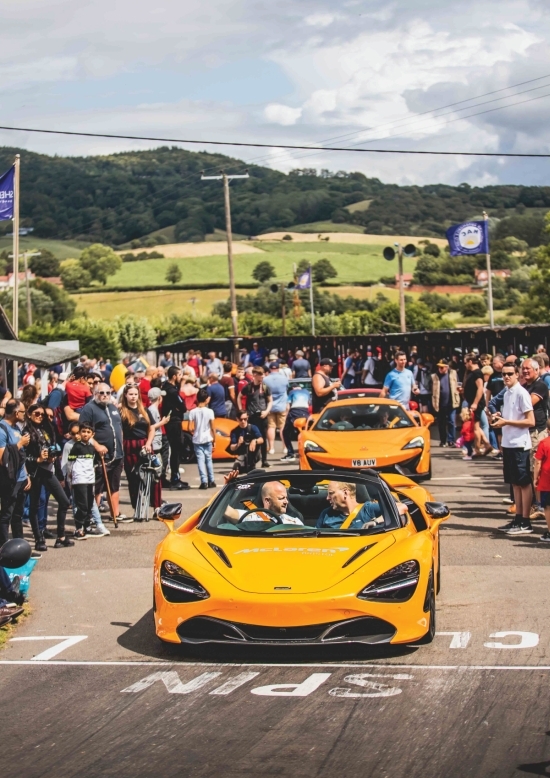 New for 2019, Supercar Fest is a supercar themed festival held at one of the world’s most historic motoring venues, Shelsley Walsh, located in the stunning Worcestershire countryside. The one day festival will be showcasing the best modern day and classic supercars ever built. Enjoy unrestricted access to the Supercar Paddock where you can get up close and personal with some of the world's most exotic machines ever made. Catch the supercars parading up the famous hill and get your ear plugs ready for some very exclusive supercar and motorsport demonstration runs. Aside from the cars, you and the family can visit one of our many trade stands or grab something to eat and drink in the main courtyard whilst our live bands play some popular music right the way through until 10pm. WHAT'S ON: • Supercar Paddock • Demonstrations & Parades • Concours d'Elegance • Car Club Displays • Retail Village • Food Trucks • Gin Bar • Live Music • Camping Website: supercarfest.co.uk Follow Supercar Fest Facebook: facebook.com/supercarfest Instagram: instagram.com/supercarfest.